So, get ready and start planning a nice stop at a Brasserie! 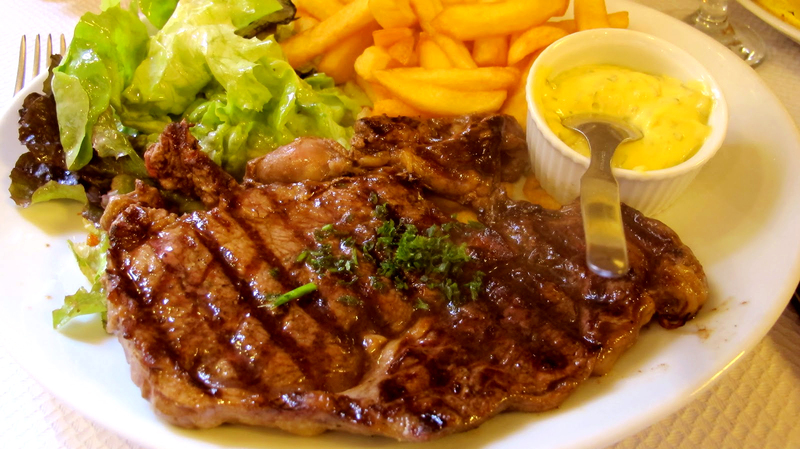 If you are not a French native you will certainly want to eat whenever you feel like.. so for once in France, you are in luck! As a quick reminder, the French are very strict when it comes to eating times and you won’t be able to eat anything outside the established times (unless you stop by a kebab place or at a Mc Donald’s) : breakfast is normally served in brasseries from 8am to 10.30am, lunch will only be served between 12pm and 1.30pm or 2pm if you are in a busy southern area. Dinner starts quite early, from 7pm finishing at around 8.30pm or 9pm, depending. So if you want to embrace the French culture and the best of their cuisine make sure you are hungry and ready to eat at these times. 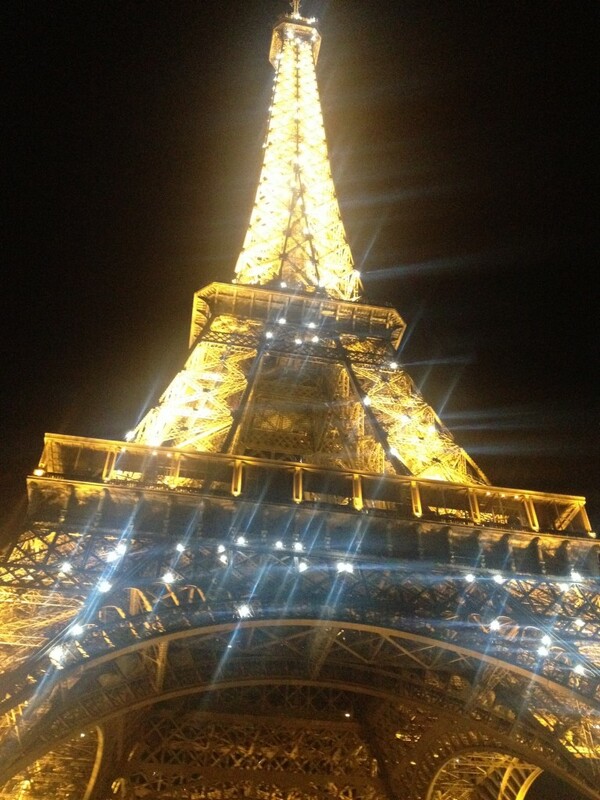 But Mesdames et Messieurs, you are in Paris, a country on its own! 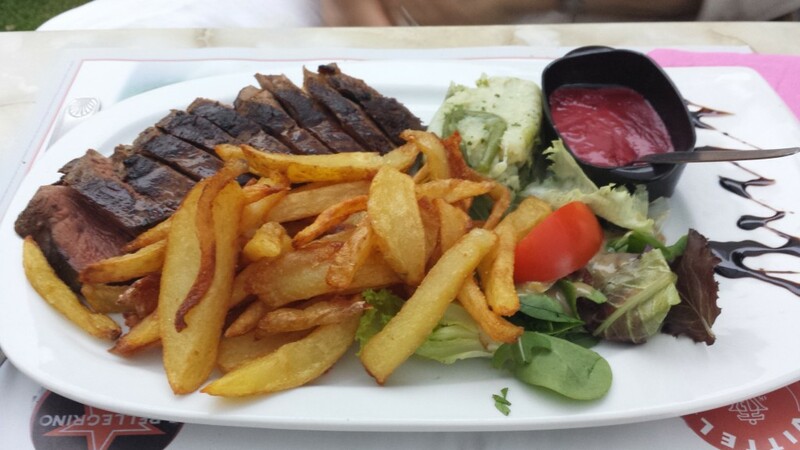 Brasseries serve food all day long and you can even have a delicious meal past 11pm in some touristy areas. The concept is quite simple: French food only, honest, quick served with a simple but quite flexible menu. Prices? Well, it is Paris so do not even start comparing the Parisians bistros with your last driving trip to Provence! Mains cost between 12€ to 25€ (if you don’t chose the poshest or most touristy brasserie, bien sur!). Little tip, almost all Brasseries offer a Menu du Jour (menu of the day) which is the best value for money meal you can get in Paris, however this only applies for lunch time. At diner you will have to chose a la carte. These Formules normally comprise a starter, a main and a desert (water and bread) for around 13-15€, you can also get quicker options like Starter a+ Main or Main + Desert with or without wine for the same price (better quality). Just look around at lunch time an you will see these deals on a black board or standing out on the front side Menu. I have just spent a week in Paris and I am, again, quite impressed with the quality and flexibility of the Parisians brasseries and, let me tell you, as a real French Provencal native this is not something I would normally openly confess. I loved the efficiency and late opening hours of the brasseries along with the menus and quality of the dishes. I would definitely go for the Plat du jour. As mentioned above, you can always enjoy a great value for money menu for lunch (only) but now almost all the brasseries offer the Plat du Jour for dinner too. So just ask for it or look on the main black board and let the chef suprise you! They normally offer a fish and a meat dish… and I love it as I don’t have to think about when I’m in a rush: it is always made with seasonal and fresh products, the portions are superb and the price is super reasonable, a winner! You can easily enjoy typical dishes like Blanquette de veau et riz, blanc de poulet au champignons et puree maison, pave de saumon et tagliattelles, bavette frites, Coq au vin, etc etc. Also, if you are a little hungrier you could share a beautiful french salad (they are very complete, huge and delicious) followed by a Plat du Jour each (if you are two). Whichever the plat du jour is, the brasserie and the price, you can be certain to enjoy a typical french dish at a friendly price! 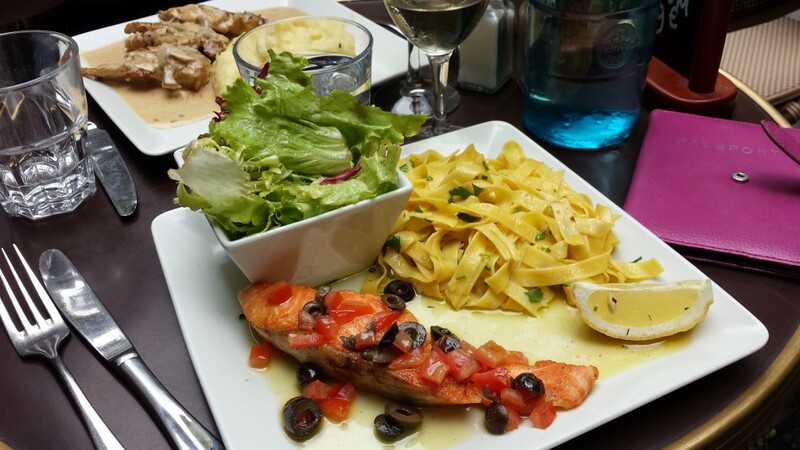 On our last trip to Paris we had these Plats du Jour: beautiful salmon fillet with olive oil and meditearranean tagliatelli and chicken in a creamy mushroom sauce with home made mash, all served with salad and bread. 13€ each. This is a grand classic of all French Brasseries. 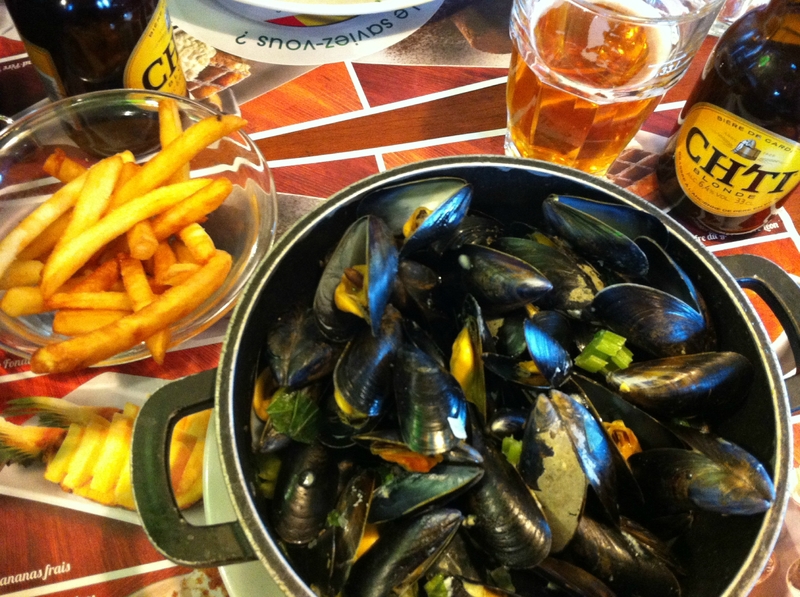 Originally from Belgium, it remains one of French favorites: some nicely home made chips in one side, a big pot of fresh and tasty muscles on the other. You can chose the type of sauce you want with your moules (creamy, classic, wine, onions, etc). 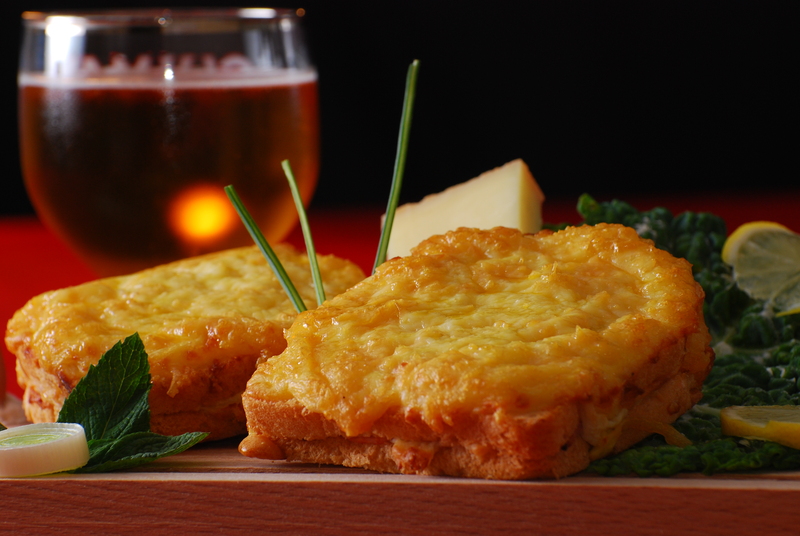 It is light but filling, amusing, tasty and always a winner. Ask for some white house wine (sec) or for a refreshing beer in summer time! My favorite. Literally meaning duck breast, this is a specialty from the south of France. Tasty red meat, roasted on the outside but tender in the inside it is a delight! Normally served with home made chips or gratin dauphinois (oven cooked potatoes with bechamel and cheese), some salad and perhaps a pepper sauce. It sounds like a simple dish but, trust me, no need for long fancy twisted names to enjoy this pearl of the traditional French cuisine. I love it “a point” medium cooked with a glass of red wine (Cotes du Rhone for me, please). What are the best cocktail bars in Dubrovnik? Tagged Gastronomy, Luxury Experiences, Paris.